Participatory budgeting (PB) is generally concerned with the devolution of powers to the local, neighbourhood or citizen level. There are obviously some real challenges at operating a direct participatory democracy at a national level. Though there are some calls, not least from the PB Network for the principle of 1% of all national government expenditure being directed by citizens, in a robust national PB programme, rather than 100% the money being spent through the current, often arcane Westminster styled representative mechanisms of civil servants, ministers, select committees and lobbyists. Even if this doesn’t happen, there is still much that our national government can do to support PB. An example might be the Argentinean national PB programme, a country-wide initiative to support and learn from PB in Argentina, with support at the highest levels. "The Ministry of Parliamentary Relations has since 2007 developed awareness-raising, training, technical assistance and promotion of participatory budgeting, aimed at local governments, community groups and civil society organizations. In 2012, Resolution No. 597 established the Ministerial Cabinet of the National Programme for Participatory Budget (PNPP). 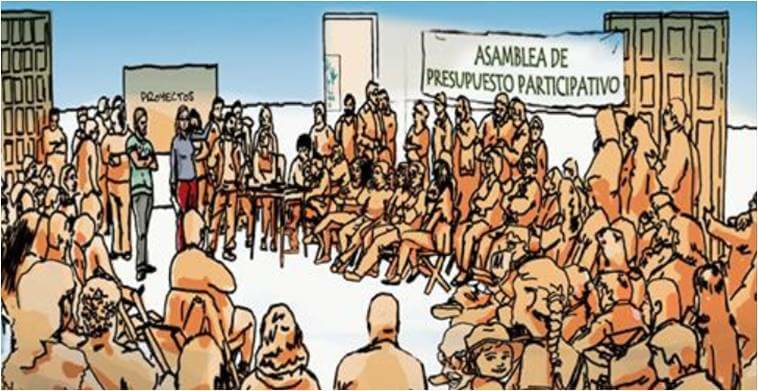 The Participatory Budget (PB ) is a process for the direct, permanent, voluntary expression of universal citizenship in which together with the government, Argentineans debate and decide the allocation of public resources. The first experiences of PB arose after the crisis of the neo-liberal model in the years 2001-2002, as a way to rebuild the relationship between state and society , government and citizenship, relationships deeply damaged by the crisis. Currently, PB is in a phase of strong expansion. d) To promote the construction of meaningful consensus to strengthen social cohesion and confidence between government and citizens. f) Continuously evaluate the objectives and achieved results." In order to facilitate citizen engagement the website of the national programme goes on to list around 60 local PB programmes in Argentina, by giving links directly into the the local Facebook pages for each. Not, noticeably, the websites of local councils. Using social media to change the sense of ownership over the programmes into something local people recognise and use in their everyday lives.